First thing you need to do is BACKUP. Once you have the complete backup stored, connect to your website using an FTP client. Go to /wp-content/themes/ and download your theme folder to your computer. The easiest way to do this is by comparing your theme files. 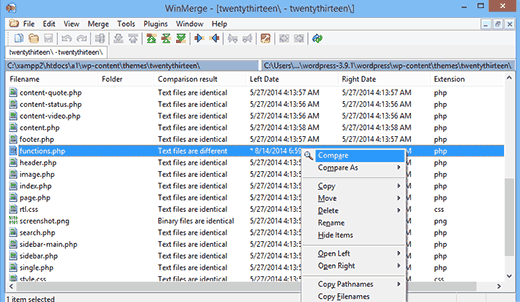 You will need to use a file comparison software like WinMerge (kaleidoscope for Mac). 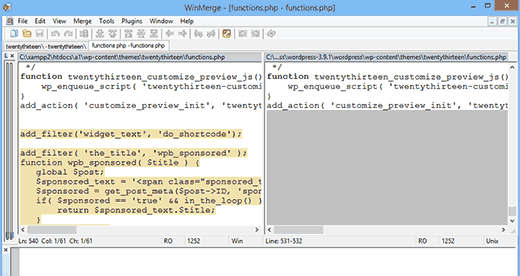 Open both theme directories in WinMerge to compare them.